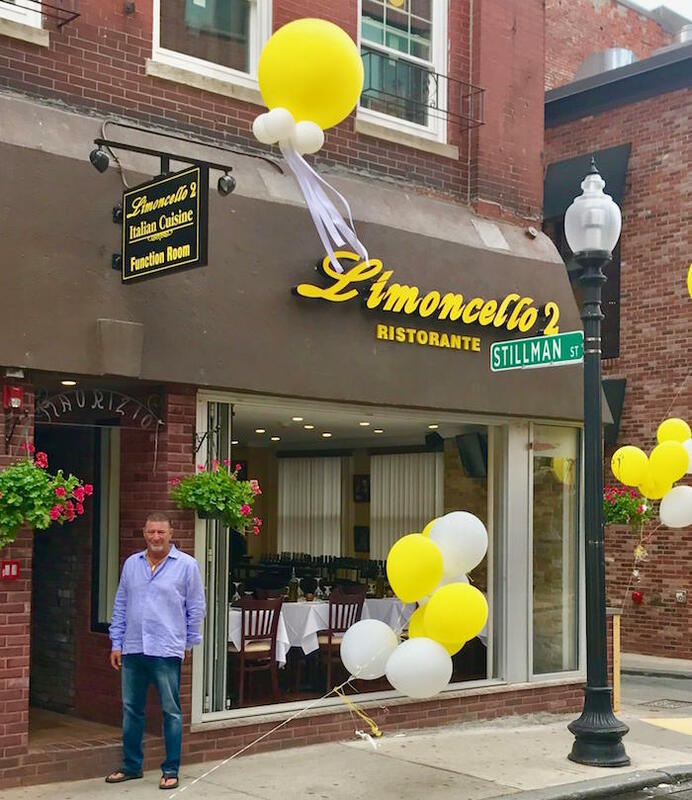 Restaurateur and three-time lottery winner Maurizio Badolato, opens his second restaurant “Resturante Limoncello 2” at 76 Salem Street, in Boston’s North End. Badolato was nicknamed the “Meatball Millionaire” by the staff of “To Tell The Truth” while appearing on the show after winning the lottery three times, and opening his first restaurant Limoncello, in 2000 near Paul Revere’s house in the North End. Maurizio, won 1 million dollars on a scratch lottery ticket and then two times more, one for $20,000, and then again for $10,000. Badolato invested his winnings in Limoncello and fulfilled his life-long dream of owning his own restaurant. Mr. Badolato grew up in the restaurant business working as a waiter in Italy as a young boy; he came to America and continued his passion for fine Italian food and impeccable service by working as a bus boy, waiter, Maitre d’, and manager at various restaurants in Boston. Family is important to Maurizio, and along with his brothers and sister, he has built an award-winning restaurant with a stellar reputation for fine food and unmatched service. “I consider myself a very lucky person. I came to America and thanks to some blessings in my life; I am able to open my second restaurant – Resturante Limoncello 2. The restaurant is a great place for an intimate dinning experience. I call it “Casual Upscale,” said Mr. Badaloto. Our chef was recruited from Naples Italy, and we serve Southern Italian style with daily specials that feature fresh seafood,” Badaloto added.